Registration for Boo-le-Bark 2019 opens on June 15th! By registering your dog you agree to abide by our rules. Our rules and guidelines are to ensure the safety, enjoyment, and respect of all visitors, dogs, the environment and business establishments nearby in the neighborhood. The parade is limited to 150 dogs. Registration must be paid prior to the day of the parade. All dogs on the parade route must be registered. Registration of dog(s) must be completed prior to parade. Registration closes once 150 dogs are registered. All handlers must be at least 18 years old and must check in the day of the event to receive their Registration Tag and sign the Accident Waiver and Release of Liability Form. All children walking in the parade who are under 18 years of age must be accompanied by an adult. No more than two dogs permitted per handler. 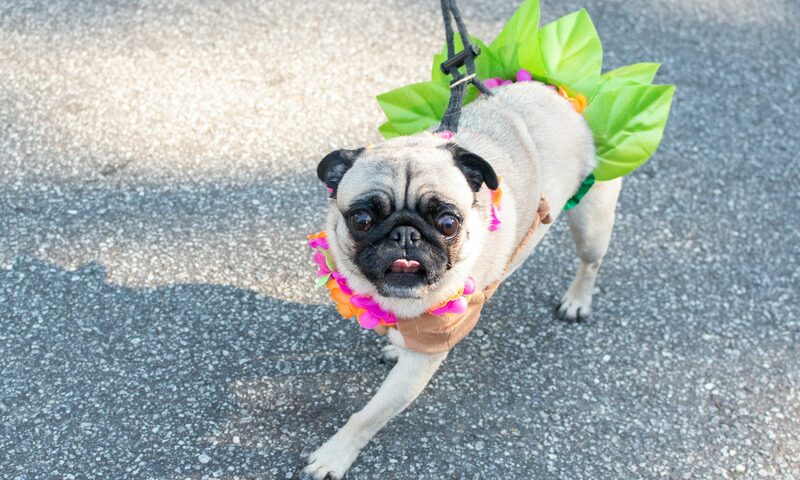 Dogs must be kept within the designated staging, parade, and ending location while participating in the parade. Dog handlers are required to clean up after their dogs with pet waste bags and dispose waste in the designated receptacles. Dogs must have a current rabies vaccination and be wearing a rabies tag. No throwing of candy or dog treats. Parade registration tag(s) must be worn at all times by the handler. Dogs must be on a leash no longer than 6 feet in length; no retractable leashes. Dogs wearing shock collars are not permitted. The dog’s behavior is the responsibility of the owner, and control of animals must be maintained at all times. Participants/dogs will be required to leave if the dog shows any signs of aggression toward people or other animals. If your dog is nervous in large crowds, please consider leaving him/her at home. The parade is rain or shine, and no refunds will be issued. Dogs must remain leashed and attended at all times. Don’t assume all dogs are friendly. Always ask before interacting with a dog. 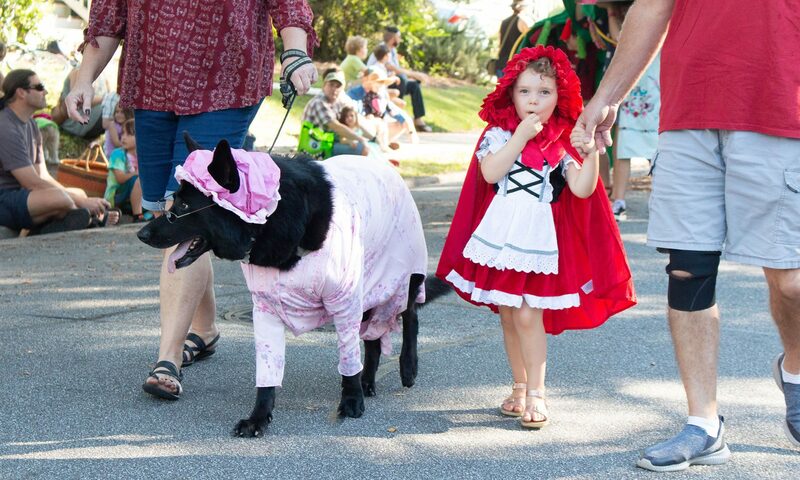 Maintain a minimum of 3 feet between the dog(s) you are handling and all other dogs while walking in the parade. Wear sensible shoes so you can handle your dog in a safe manner. If your dog is stressed or overwhelmed, move off to the side for a moment and take a break. Most importantly, use good judgment on all matters concerning your dog.